What would our world today be like without inventions like tarmac, aspirin, liquid crystals, and barbed wire? 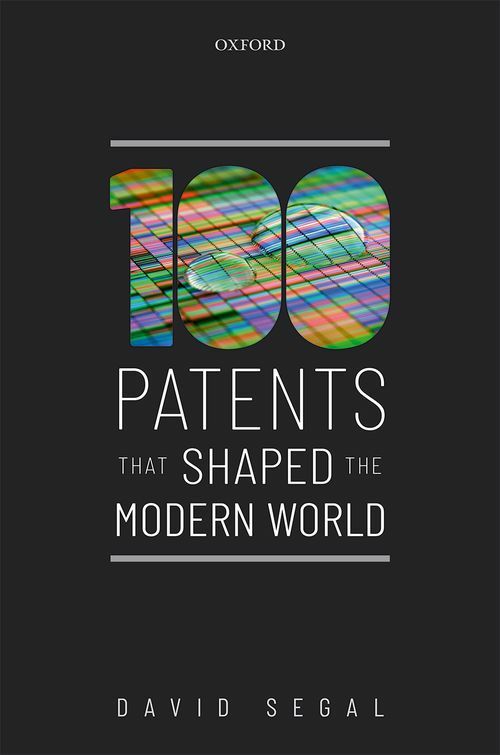 This guide shows how patents and the inventions they describe have shaped the 21st century. It gives us insights into the inventions, big and small, that have had huge impacts, many unexpected, on multiple spheres of our lives, from popular culture and entertainment, to global health, to transportation, to the waging of war. It features patent documents that date from the mid-19th century to the present. Patent documents describe inventions and represent an accurate and rich source of information about the history and current state of modern technology, as patents are examined and their accuracy can be challenged. The subject matter covers many technical areas. Patents discussed include, for example, Morse code, the diode, triode, transistors, television, frozen foods, ring-pull for soft drink cans, board games such as Monopoly, gene editing, metamaterials, MRI, computerised tomography, insulin, and monoclonal antibodies such as Herceptin. The text is illustrated with drawings adapted from the original patent documents. Patent numbers are included to allow interested readers to trace the documents. Inventions described in the patents are placed in historical perspective. For example, the book discusses the role of the cavity magnetron and radar in World War II, and the influence of the diode on the development of broadcasting at the beginning of the 20th century. After graduating with a degree in natural sciences from Trinity Hall at Cambridge University, David Segal obtained an M.Sc. in surface chemistry and colloids with commendation at Bristol University and a Ph. D in foaming in lubricating oils at the same university. Postdoctoral work was carried out at Brunel University on the surface chemistry of organic pigments. He has worked for the UK Atomic Energy Authority at the Harwell Laboratory, AEA Technology, and Coller IP management. Segal maintained interests in materials chemistry and patent literature in his working life. He is an author or co-author of over 40 scientific papers, and an inventor or co-inventor of over 25 patent families. Examples of his interests include high-temperature ceramic superconductors, gas-to-liquid technology for the preparation of synthetic diesel, and ceramic nanofiltration membranes. He has analysed patent portfolios including three-dimensional printing, light-emitting diodes and medical devices.